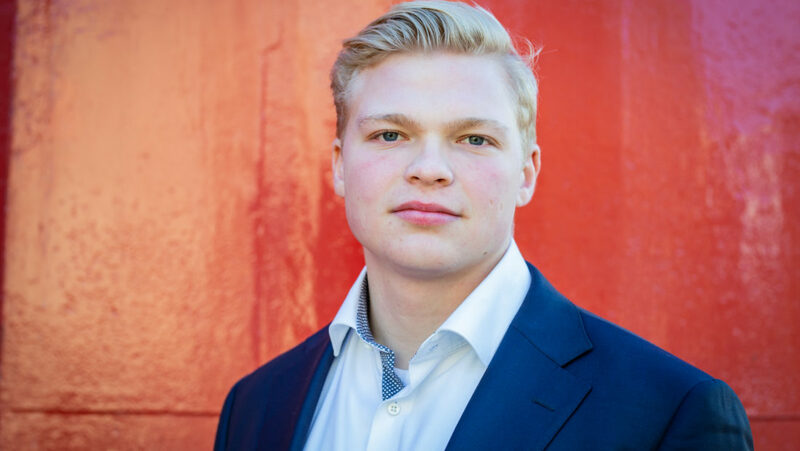 My name is Tim van Rijn, and I am the Commissioner of Student Marketing and the Social Manager of STAR Erasmus Consulting board (SEC) 2019. I just completed my second year of my Bachelor’s Degree in Business Administration at the Rotterdam School of Management. Besides my studies I have been very active within Study Association STAR where I was part of the STAR Marketing Team. As Marketeer I was responsible for organizing creative marketing events for the students of Erasmus and for the STAR Yearbook. Besides the SEC I play rugby at the Rotterdamse Rugby Club for as long as I can remember. This is for me a good way to release all my energy. I combine rugby with going to gym to keep my physique up. Also I enjoy listening to R&B and Hip Hop music and watch a movie once a while with my friends. As Commissioner of Student Marketing and Social Manager, I am responsible for the awareness of the SEC among students of the RSM and members of STAR. Therefor we can recruit the best of the best. Also organizing social events that contribute to the social cohesion between the SEC board, STAR board and the consultants is a part of my job. Internal and external communication is key to successfully fulfill my duty.